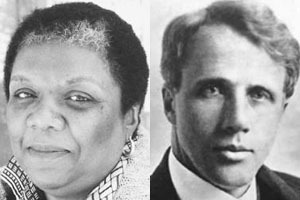 At eNotes this month, we are taking some time to remember two great American poets: Lucille Clifton and Robert Frost. Clifton passed away on February 17, 2010, and March 26 marked Frost’s birthday. Seldom have two writers articulated their view of the United States in such unique and memorable ways. Clifton’s collection of poems Good Woman: Poems and a Memoir, 1969-1980 was a finalist for the Pulitzer Prize in 1988. Twelve years later, in 2000, Blessing the Boats: New and Selected Poems, 1988-2000 won a National Book Award. Frost died on January 29, 1963. He was 89 years old. New Student Aid Package: How Can You Benefit?